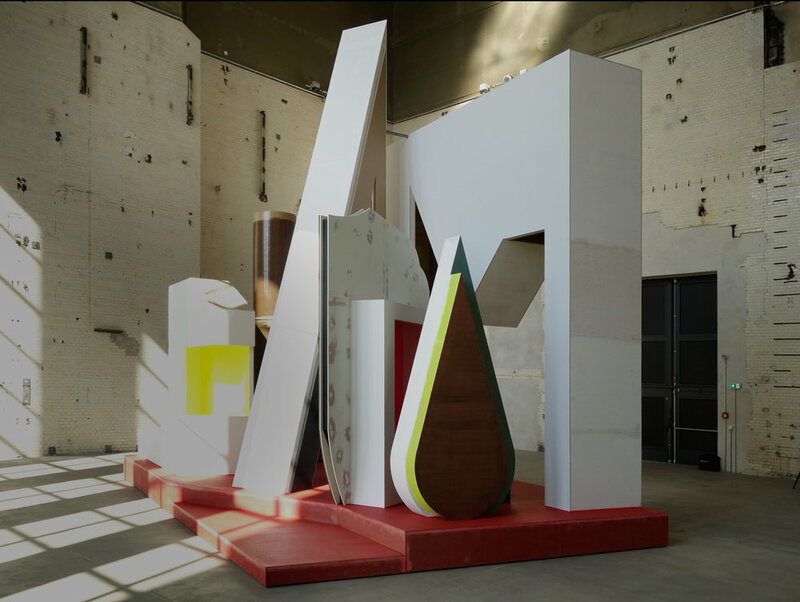 Based on the work Plateau mit Halbfigur, which was developed for the Kesselhaus, Thomas Scheibitz, Arno Brandlhuber (architect), and Johannes Schütz (stage designer) will discuss questions about the relationship between sculpture, stage, and architecture. On this day the Kesselhaus will open at 6 p.m.
Café Babette will stay open longer after the event. Arno Brandlhuber (*1964) is an architect and urban planner, and since 2006 he has headed the collaborative practice Brandlhuber+ in Berlin. His work includes architectural and research projects as well as exhibitions, publications, and political interventions. Brandlhuber has been professor of design and architecture at ETH Zürich since 2017. There he teaches and researches new media and technologies as arguments for future architectures. Johannes Schütz (*1950) is a stage designer, costume designer, and director. He began his career as a stage designer in 1974 at the Schillertheater in Berlin and the Münchner Kammerspiele. Schütz is famous for his minimalist spatial conceptions. As a director he works in opera and theatre, and he has received numerous awards for his work. Schütz has been a member of the Akademie der Künste since 2018.